Summer’s coming, and there’s no better time to revisit Hayao Miyazaki’s giddy, glorious seaside story about a budding young witch and her sarcastic cat. 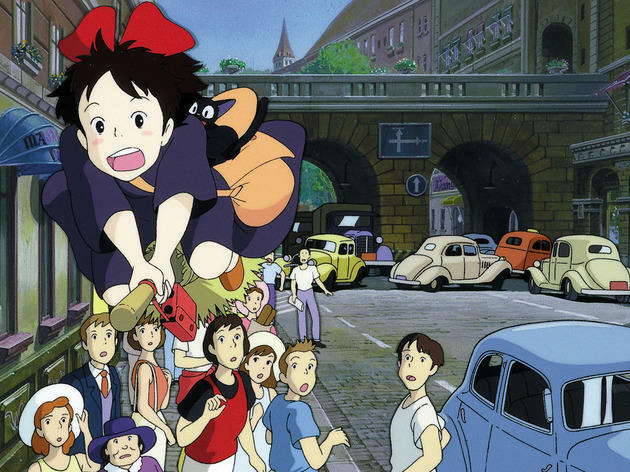 It’s adapted from a popular novel by Japanese author Eiko Kadono, but its DNA is rooted in the classic Western kids’ literature that would later inform Studio Ghibli masterpieces like ‘Howl’s Moving Castle’ and ‘Arrietty’. Leaving home at 13 to find her way in the world, plucky witch Kiki heads for a nearby port town with her cat Jiji and sets up a broomstick delivery company that’s an instant hit with the locals. So far, so sweet-but-predictable – if we were in Disney’s world, that’d be the extent of Kiki’s personal growth, and that’d be fine. 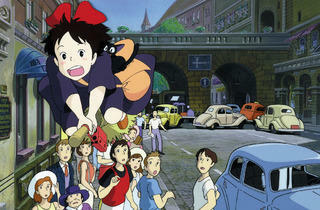 But this is Miyazaki’s world, where things go a little deeper. So, following a bout of illness, Kiki struggles with depression, loses her powers and must search for a new purpose in life.